That works pretty slick oops. It settled down nicely. That's an interesting pot. 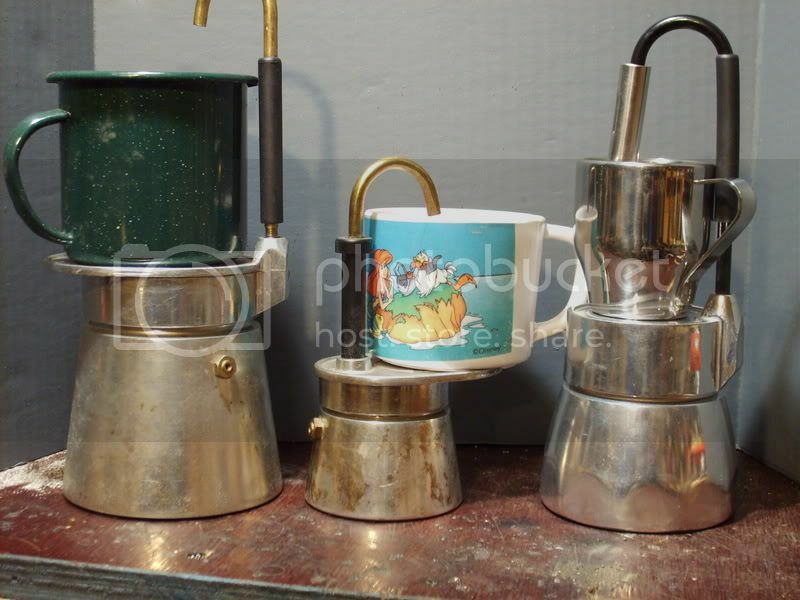 Is it a drip percolator type? I've never seen a Coffee pot like that before. That's cool! I like the stove too! Allen wrote: I've never seen a Coffee pot like that before. That's cool! Check the thrift stores. I see them from time to time for about a dollar. Thanks for the video oops. Thanks For the links DaddyMoM ! Any idea what country they are made in? Not really sure where they are made. I'll try to remember to read the box next time I am in REI. I would guess somewhere in europe or from one of the former eastern block countries.